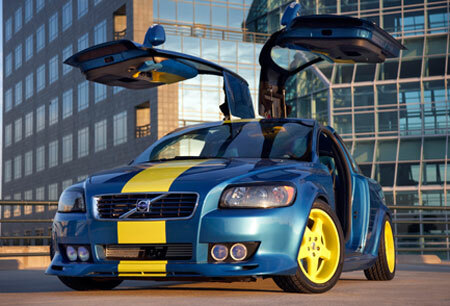 The annual Specialty Equipment Market Association (SEMA) auto show is here, and this means Volvo fans finally get to see the modified C30 trio that was promised to be shown. Actual photos and details of the three cars from Evolve, Heico Sportive and ipd are after the jump. Enjoy! The first is a joint collaboration between German tuner Heico Sportiv and Burton Snowboards – a lifestyle-themed 300 horsepower and factory electronically controlled all-wheel drive, with a height adjustable suspension, custom cut Toyo tires and an incredibly complex six layer camouflage paint job that will let the car blend in to the mountain environment while still turning heads on the road. 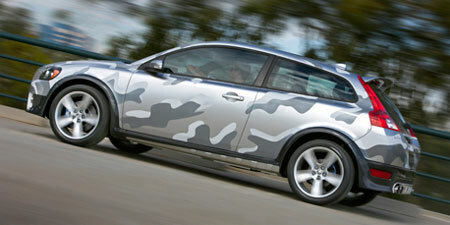 Though why a car would need such camouflage paint beats me. 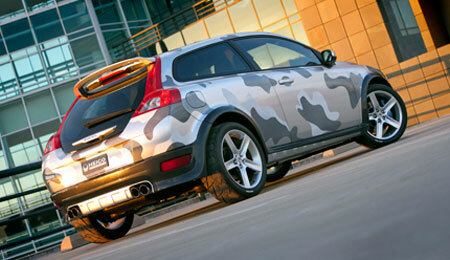 Rear passenger side view of Hecio C30 with camouflage paint. 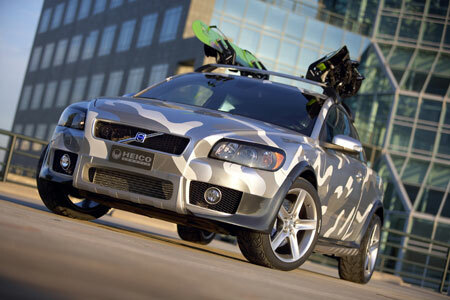 Driver side view of Heico C30 with camouflage paint. Heico Sportiv/Burton Snowboard C30 engine detail. Silver, blue and black engine and covers. 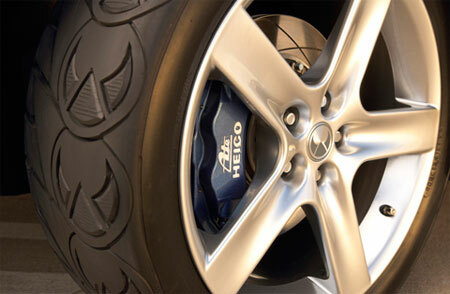 Heico Sportiv/Burton Snowboard C30 wheel detail. Showing custom tiers, blue breaks. 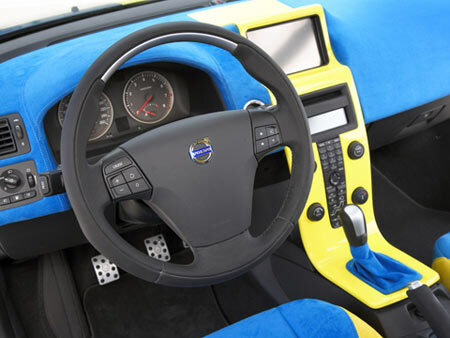 ipd (International Product Development)’s Volvo C30 comes draped in the colors of the Swedish flag (it may seem that the Subaru Impreza was similiarly inspired!) and puts down 384 horsepower of punishment onto the tarmac through the front wheels. The interior features a thoroughly custom fabricated dash, highlighted by a touch screen in the floating center stack and a heads-up instrument display. 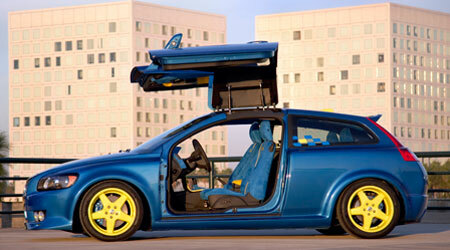 A unique feature is the fully functioning gull-wing style doors. Front driver side view of International Product Development (IPD) SEMA C30 with open custom doors. Blue paint with yellow stripe. Driver side view of International Product Development (IPD) SEMA C30 with open custom doors. Blue paint with yellow wheels. 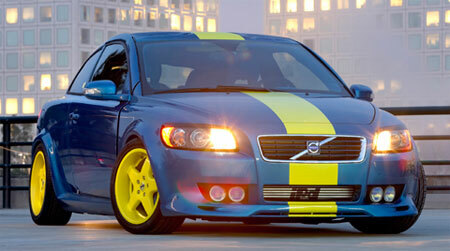 Top rear passenger side view of parked International Product Development (IPD) SEMA C30. 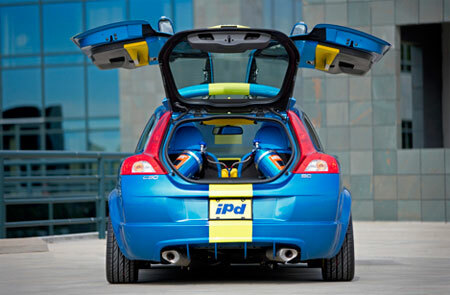 Rear view of parked International Product Development (IPD) SEMA C30 with open doors. Blue paint with yellow stripe parked on residential roads with industrial buildings in the background. Open doors and trunk, revealing nitrous oxide canisters and custom stereo system. 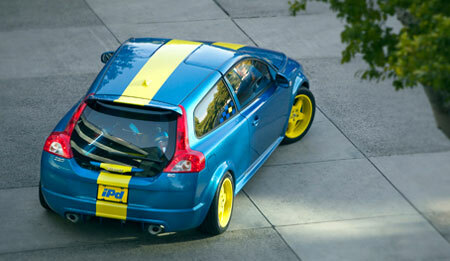 Rear view of parked International Product Development (IPD) SEMA C30. Blue paint with yellow stripe. 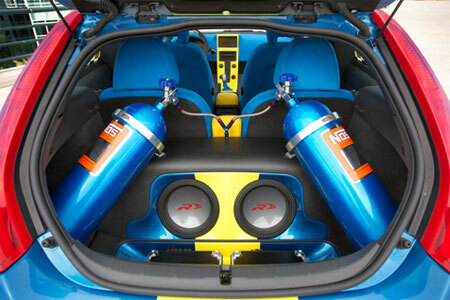 Open trunk, revealing nitrous oxide canisters, custom stereo system and interior. 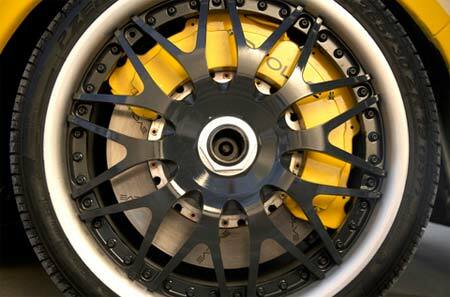 International Product Development (IPD) SEMA C30 wheel and break detail. Showing custom rims and breaks. International Product Development (IPD) SEMA C30 interior view. Showing custom detail, seats, steering wheel, console and gauges. 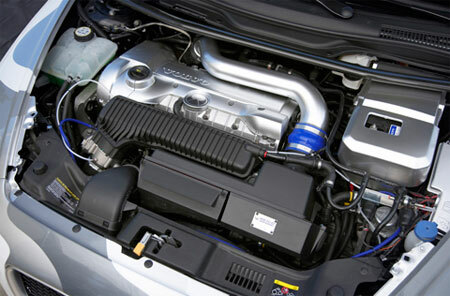 International Product Development (IPD) SEMA C30 engine detail. 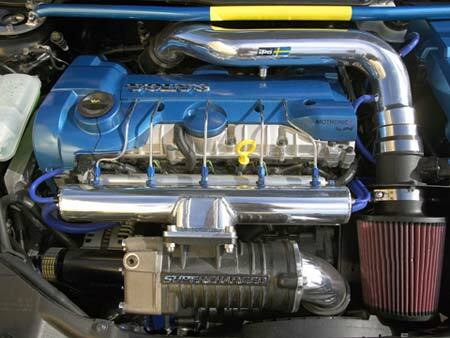 Showing cold air intake, supercharger, custom paint and components. 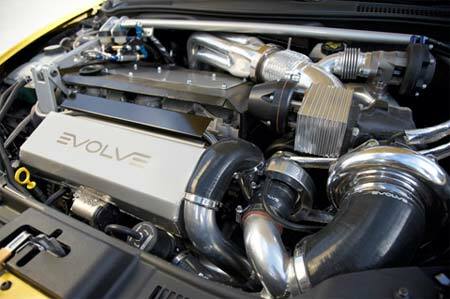 The Evolve C30 has 507 stampeding ponies thundering through all four massive tires, naturally – this is achieved via sequential twin turbos instead of the ipd C30’s supercharger. To handle all that horses, the car also has a race-inspired suspension, gigantic brakes and a yellow high gloss paint scheme. Yellow Evolve C30 engine detail. Showing custom engine components including turbo, custom tubing, blow off valve. 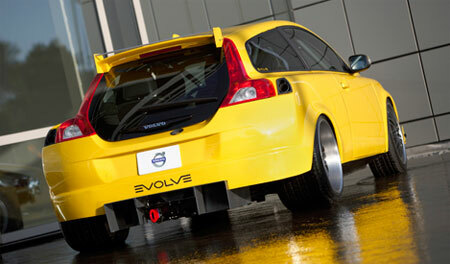 Rear passenger side shot of yellow Evolve C30. Showing custom components and evolve logo. 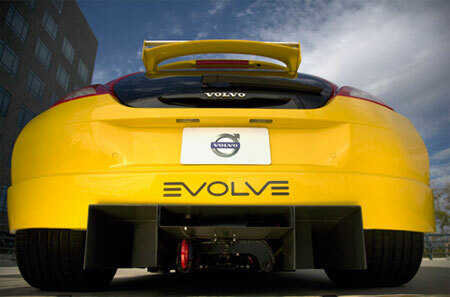 Close up shot of yellow Evolve C30 rear. Showing custom components and evolve logo. 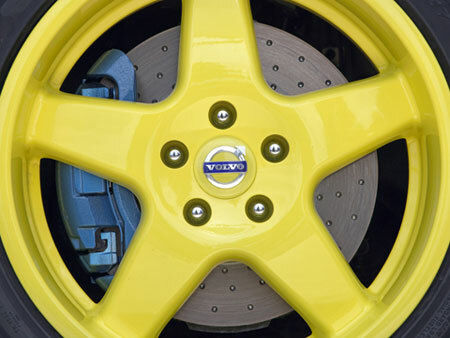 Yellow Evolve C30 wheel and break detail. Showing custom rims and breaks. 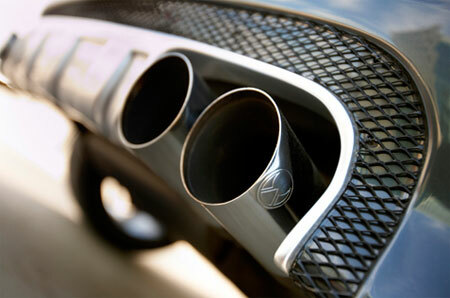 Photo and captions: Volvo Cars PR.